The GodownGig du POBB | Le Poil O' Brass band, Fanfare Paris ! Come enjoy a nice mix of music on Saturday 4th August at 3pm at the GoDown Arts Center. 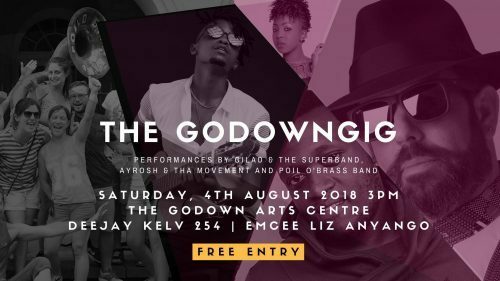 From the brass horns of Poil O’Brass band to the mugithi sound with an urban twist of Ayrosh to the serenading lyrics of GILAD, this July edition of The GoDownGig will leave you wanting for more. Entry free!